vitation to the 6th Global Botanic Gardens Congress of Botanic Gardens Conservation International to be hosted by the Conservatory and Botanical Garden of the City of Geneva, Switzerland, from the 26th-30th June 2017. With the aim of stimulating discussion and innovative reflections on the role and relevance of botanic gardens in society, we would like to cordially invite you to the 6th Global Botanic Gardens Congress in 2017. The scientific programme will focus on botanic gardens’ role in solving the major environmental challenges for society – food security, water scarcity, energy, health, loss of biodiversity and climate change. Major topics will include plant conservation, education and outreach, botanic garden management challenges and communicating the big issues via landscaping, with workshops and discussion sessions organised during the course of the meeting to address specific issues. We hope that the botanic garden community, its associated horticultural experts, scientists, educators, communicators, directors and managers will have the chance to collectively and collaboratively explore and develop different visions of botanic gardens and their core activities for the future. We look forward to welcoming you here in Geneva in 2017. 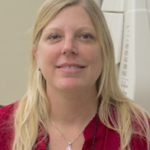 Christine Edwards is a Conservation Geneticist at the Missouri Botanical Garden, an honorary Adjunct Professor at Washington University in St. Louis and an Adjunct Assistant Professor at the University of Missouri-St. Louis. Dr. Edwards received a B.A. degree in Ecology and Evolutionary Biology and Spanish from the University of Colorado at Boulder in 1999 and a Ph.D. in Botany from the University of Florida in 2007. She held a postodoctoral position in the Department of Botany at the University of Wyoming from 2008-2011. In 2011, she joined the Environmental Laboratory of the U.S. Army Engineer Research and Development Center as a Research Biologist. Dr. Edwards moved to the Missouri Botanical Garden in 2013 and leads the Conservation Genetics Lab and associated research program. Dr. Edwards’ research focuses on using population and quantitative genetics approaches to help understand the ecology and evolutionary biology of endangered plant species. Her research also involves using genetic data to aid in applied in-situ and ex-situ conservation efforts. Professor of Climate Science and Head of the Institute of Environmental Sciences at the University of Geneva. Martin Beniston has studied atmospheric and climate physics in England (BSc and MSc), France (PhD) and at ETH-Zurich (Habilitation degree). 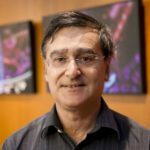 He has worked in research Institutions in Australia, France, Canada, Germany and Switzerland, including ETH-Zurich.He was from 1992-1997 a vice-chair of one of the climate-impacts working groups of the Intergovernmental Panel on Climate Change (IPCC, co-recipient of the 2007 Nobel Peace Prize) as well as part-time senior scientist in climate research at ETH-Zurich. He was appointed full professor and head of the Institute of Geography at the University of Fribourg, Switzerland, from 1996-2006. In 2006 he was appointed full professor at the University of Geneva and Director of its Institute for Environmental Sciences. From 2008-2014 he coordinated a major European project on climate and water (www.acqwa.ch). He was also the initiator and scientific leader of the 2013 “Planet Solar Deep Water” expedition in the North Atlantic, using “Planet Solar”, the world’s largest solar-powered ship that was designed in Switzerland. He has close to 190 publications in the international literature, and is editor or associate editor of several journals and book series with international publishers. In 2000, he was elected to theAcademia Europea, the European Academy of Science. Marie Haga joined the Global Crop Diversity Trust as Executive Director in March 2013. She had previously been member and Deputy Chair of the Global Crop Diversity Trust Executive Board. Ms. Haga has a background from Foreign Service as a career diplomat, from politics and private sector. She has held various positions in the Norwegian Ministry of Foreign Affaires including to the Norwegian Mission to the United Nations in New York and the Embassy in New Delhi. She was politically appointed and held the position as State Secretary/Deputy Minister in the Ministry of Foreign Affaires 1997-1999. Ms. Haga has wide experience from politics and served as a Member of Parliament in Norway from 2001-2009. She was political advisor to the Minister for Development cooperation from 1997-1998. She was Chairperson of the Centre Party from 2003- 2008. Ms. Haga has held three Ministerial positions: Minister of Cultural Affairs (1999-2000), Minister of Local Government and Regional Development (2005-2007) and Minister of Petroleum and Energy (2007-2008). 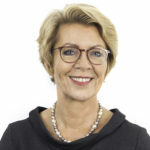 Marie Haga has held the position as Director for Renewable Energy in the Federation of Norwegian Industries (2009-2011) and as Secretary General of the Norwegian Air Ambulance (2011-2013) – the biggest voluntary organization in Norway. Ms. Haga has been on several boards, including as Chair of the Governing Board of the Norwegian Institute for Nature Research (NINA) (2009-2013) and Chair of the Governing Board of the Industrial Development Corporation of Norway (2010-2013). She currently serves on the Board of Directors of the Regional Environmental Center (REC). Ms. Haga is also elected chairperson of the PRIO Board for the period 2016-2018. Marie Haga has also published three books – one novel and two on Norwegian politics. Cristián Samper joined WCS as President & Chief Executive Officer of WCS in August 2012. Prior to this appointment, he was Director of the Smithsonian’s National Museum of Natural History (MNH). During his tenure he served as Acting Secretary of the Smithsonian (2007-2008). Before joining MNH as Director in 2003, Dr. Samper was deputy director & staff scientist at the Smithsonian Tropical Research Institute in Panama. From 1995-2001, he was the founder & first director of the Alexander von Humboldt Institute, the national biodiversity research institute for Colombia. For his contributions, he was awarded the National Medal of the Environment and the order of San Carlos by the president of Colombia. From 1999-2001, Dr. Samper was chair of the Subsidiary Body of Scientific, Technical & Technological Advice of the UN CBD where he helped develop a global strategy for plant conservation & launched the Millennium Ecosystem Assessment. He also served as Vice Chair of the IUCN Species Survival Commission, as a member of the Scientific & Technical Advisory Panel of the GEF and a member of the board of overseers at Harvard University. Dr. Samper earned his master’s degree (1989) & doctorate degree (1992) in Biology from Harvard University where he was awarded the Derek Bok Prize for excellence in teaching. 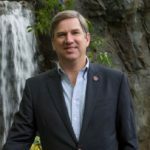 Known for his work in the ecology of the Andean cloud forests, conservation biology & environmental policy, Dr. Samper is currently on the board of the Carnegie Institution for Science, CIAT and Science for Nature and People Partnerships (SNAPP). He is a member of the Council on Foreign Affairs; and the American Academy of Arts and Sciences. Presentation title - Environmental education in botanical gardens: a child’s play? Jin Chen received a bachelor degree on horticulture from Nanjing Agricultural University (1986) and a doctor degree on botany from Kunming Institute of Botany of Chinese Academy of Sciences (2003). His research interests include the ecology and evolution of plant-animal interaction, environmental education, conservation biology, with about 70 papers published in international journals. 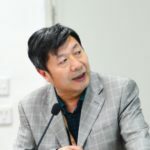 Jin Chen is appointed as the director of Xishuangbanna Tropical Botanical Garden of Chinese Academy of Sciences since 2005, President of the Chinese Union of Botanical Gardens (CUBG) since CUBG’s establishment in 2013 now with 96 member gardens. He ever served as the first President of the Asia-Pacific Chapter of Association of Tropical Biology and Conservation (ATBC)(2006-2008), Councilor of ATBC (2005-2007), associated editor of several journals such as Proceedings B. He was honored as one of the “Top 10 National Outstanding Science & Technology Workers” by the China Association for Science & Technology in 2010. Jeannine Cavender-Bares is a Professor at the University of Minnesota in Ecology, Evolution and Behavior and a Fellow at the Institute on Environment. She studies plant function and biodiversity, including its origins, maintenance and consequences and seeks to conserve and restore the Earth’s biodiversity. Cavender-Bares is broadly interested in how functional traits of plants link evolutionary history to current ecological processes. Much of her team’s work combines phylogenetic and quantitative genetic approaches with studies of plant physiological function to understand community assembly and the forces underlying shifts in stress tolerance among closely related species or among populations of the same species. Currently, she is leading an NSF and NASA funded Dimensions of Biodiversity project using remote sensing tools to remotely sense biodiversity, tree health and ecosystem processes. She received degrees from Cornell (B.A. ), Yale (M.E.S.) and Harvard (Ph.D.) and conducted post docs at the Smithsonian and the Centre National de la Recherche Scientific in Montpellier, France. She is a 2011 Fulbright Scholar to Mexico, a 2015 Leopold Environmental Leadership Fellow, an editor for Ecology and on the advisory board for New Phytologist. 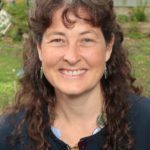 She serves on scientific steering committees for bioDISCOVERY at the University of Zürich, the Center for Tree Science at the Morton Arboretum, and is involved in the Intergovernmental Platform on Biodiversity and Ecosystem Services Americas regional assessment. She has published over 100 scientific articles. After studying at the University of Fribourg (Switzerland), Bernard Baertschi obtained his PhD in Philosophy from the University of Geneva. His thesis, devoted to the thinking of Maine de Biran, was awarded the Rivier Prize of the University of Lausanne (1981). Later, he was a member of the CNRS (Paris) from 1980 to 1996, and of the publishing committee of the Œuvres de Maine de Biran(Paris, Vrin). He continued his research on French philosophy in the Eighteenth and Nineteenth centuries, but at the same time was interested in fundamental ethics and in the relations between philosophy and medicine, and in particular bioethics. He taught these subjects at the l’Institut Éthique Histoire Humanités (formerly Institute of Biomedical Ethics) and at the Department of Philosophy of the University of Geneva until 2014. 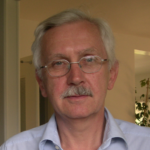 He was president of the Swiss Philosophy Society and a member of the Swiss Philosophy Society from 1983 to 1997, and editor of the Studia philosophica from 1994 to 2005. In the spring of 2004 he held the Chair of Ethics of the University of Grenoble. He sat on various ethics committees, including the Federal Ethics Committee for Biotechnology in the Non-Human Domain (CENH, Switzerland) between 2002 and 2014, and the Inserm Ethics Committee (CIS, France) since 2013. As a member of the CENH, he participated in the drafting of various position papers, including Genetic Engineering in Food (2003), The Dignity of Creatures in the Plant Kingdom (2008), Synthetic Biology (2010) and New Plant Breeding Techniques(2016).